The British designer’s bold faux-fur coat draws on the allure of ’50s and ’60s Tinseltown starlets. Contemporary fashion’s way of expressing glamour rarely feels fresh. Rather than enlist the usual suspects—glittery sequins, billowy ostrich feathers, gargantuan trains—to convey nostalgic sophistication, Stella McCartney goes directly to the source. 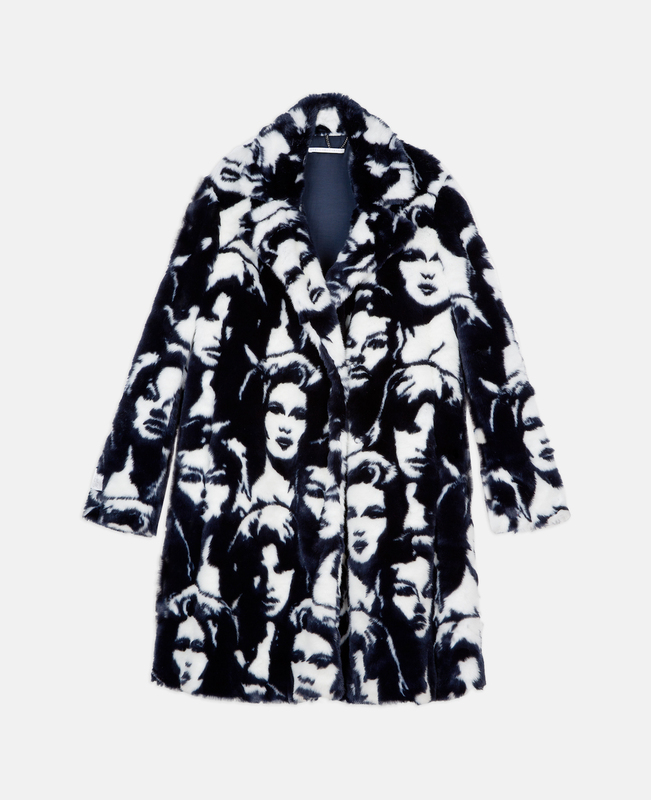 On this graphic, jacquard-woven faux-fur coat, the English designer pays tribute to the women who have shaped modern notions of magnetic style: ’50s and ’60s movie sirens. Faces recalling Grace Kelly’s charming features and Sophia Loren’s self-assured countenance capture the bewitching charisma that continues to captivate decades later.